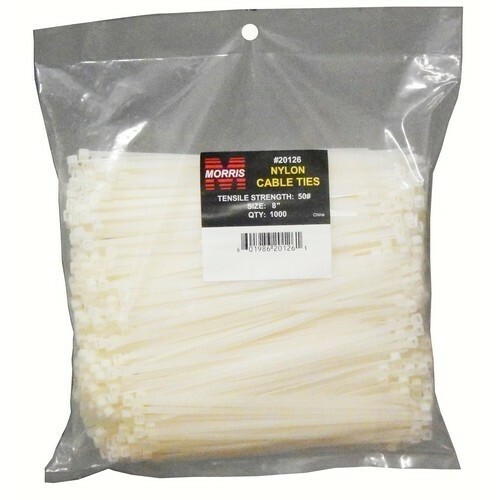 CABLE TIE JARS Most popular cable ties in resealable canister 650 piece assortment of cable ties consists of: 100 ea. 4", 300 ea. 8" and 50 ea. white ties - plus 200 ea. 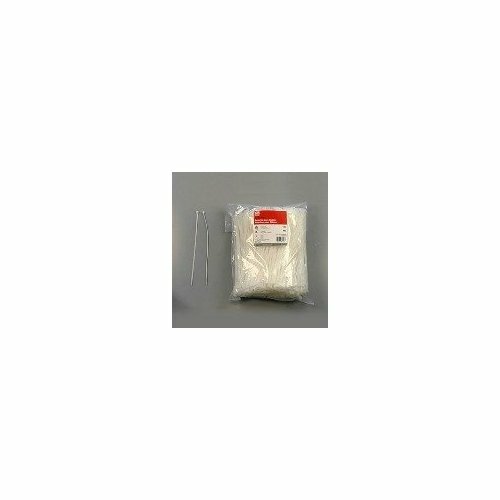 4" colored ties Ties made of durable 6/6 nylon material 50 pound tensile strength 65001 650PC CABLE TIE JAR SIZE:650 Pc. Asst. 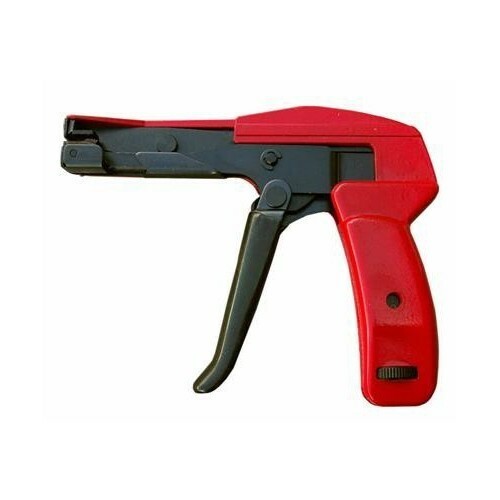 Metal Cable Tie Gun - This pistol style Metal Cable Tie Gun is easy to use. Gun Casing: All Metal This item does not ship to APO/FPO addresses. Ultraviolet Black Nylon Cable Ties 18LB 6-1/2" Ultraviolet Black Nylon Cable Ties 18LB 6-1/2"
Ultraviolet Black Nylon Cable Ties 18LB 6-1/2" - Our UV-safe Zip Cable Ties are perfect for outdoor use. Below is more info on our Ultraviolet Black Nylon Cable Ties 18LB 6-1/2"
Ultraviolet Black Nylon Cable Ties 18LB 4" Ultraviolet Black Nylon Cable Ties 18LB 4"
Ultraviolet Black Nylon Cable Ties 18LB 4" - Our UV-safe Zip Cable Ties are perfect for outdoor use. Below is more info on our Ultraviolet Black Nylon Cable Ties 18LB 4"
Ultraviolet Black Nylon Cable Ties 40LB 10" Ultraviolet Black Nylon Cable Ties 40LB 10"
Ultraviolet Black Nylon Cable Ties 40LB 10" - Our UV-safe Zip Cable Ties are perfect for outdoor use. 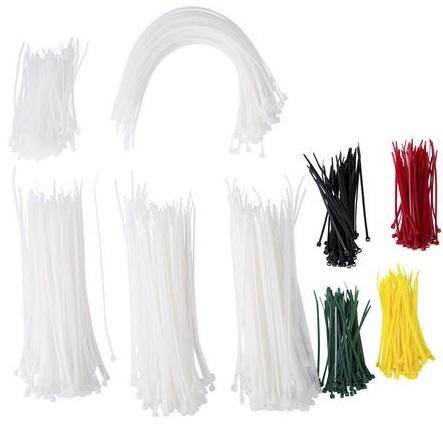 Below is more info on our Ultraviolet Black Nylon Cable Ties 40LB 10"
Nylon Cable Ties 18LB 4-3/4" Nylon Cable Ties 18LB 4-3/4"
Nylon Cable Ties 18LB 4-3/4" - Nylon Wire Cable Ties for all cable organization applications. 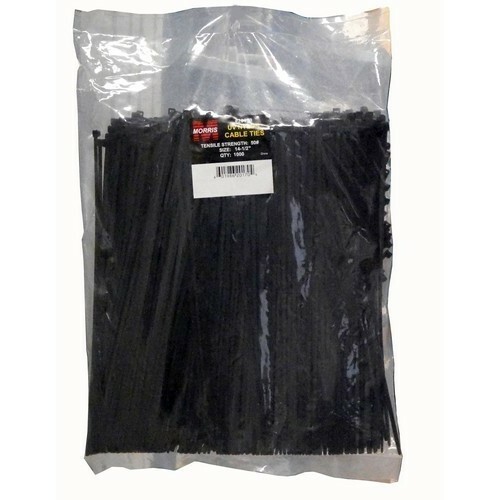 Below is more info on our Nylon Cable Ties 18LB 4-3/4"
Ultraviolet Black Nylon Cable Ties 175LB 17-3/4" Ultraviolet Black Nylon Cable Ties 175LB 17-3/4"
Ultraviolet Black Nylon Cable Ties 175LB 17-3/4" - Our UV-safe Zip Cable Ties are perfect for outdoor use. 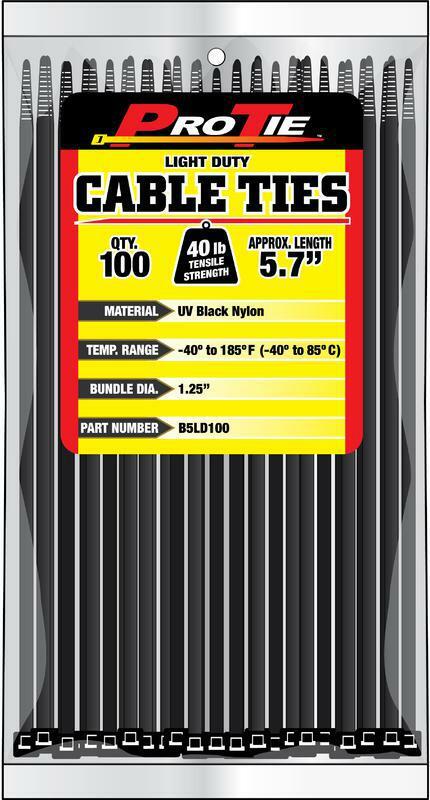 Below is more info on our Ultraviolet Black Nylon Cable Ties 175LB 17-3/4"
4" Black Cable Ties 100pk. 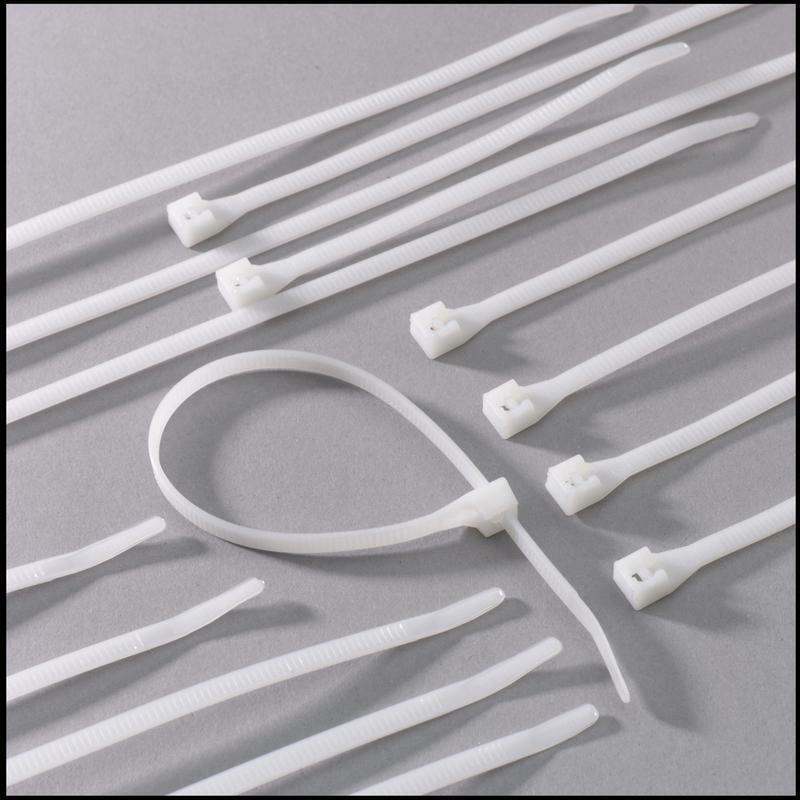 Cable Ties from Cables To Go make wiring and cable installations clean and well organized. 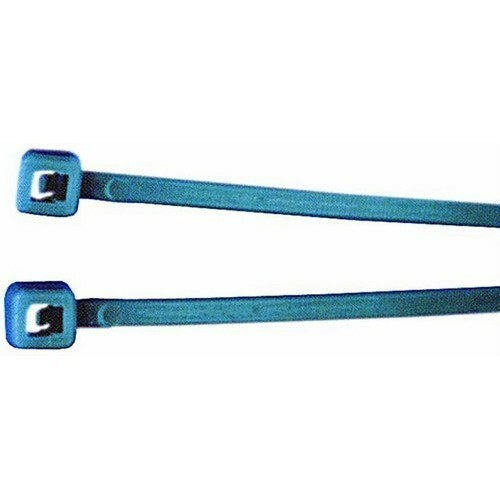 Used to bundle and secure wire and cable these cables ties are manufactured for maximum performance and quality. Cable ties are very easy to use; simply zip and snip. 100 cable ties per package. This item cannot be shipped to APO/FPO addresses. Please accept our apologies. Tamper-resistant tie holds securely without losing its grip. Won't stretch or slide so it stays in place. Tightens and locks as needed to secure cables, cords and other loose items. Strong and durable for convenience and peace of mind. 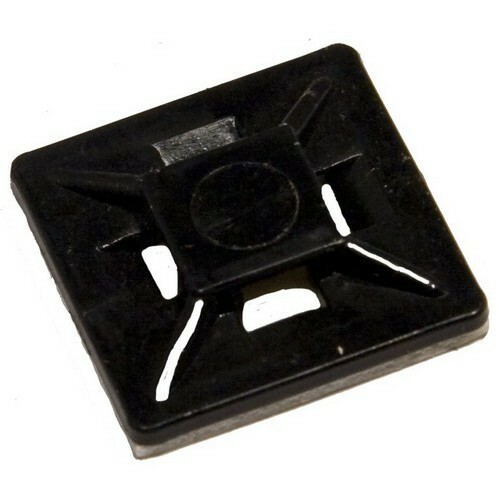 Made of non-conductive nylon. UL listed. 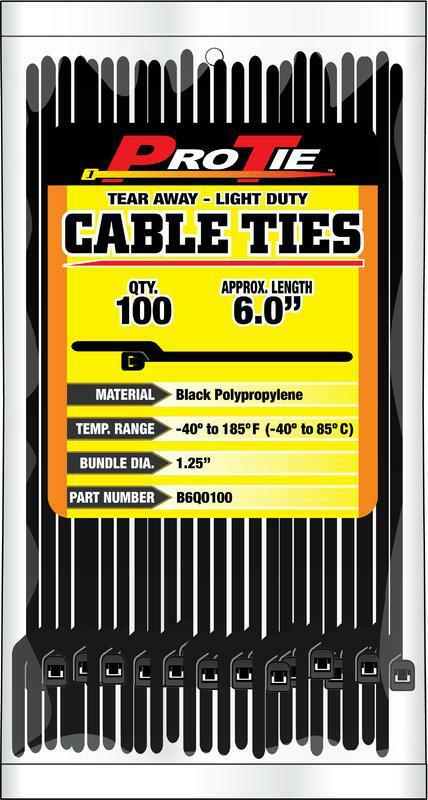 Cable Management Type: Tie; Color(s): Natural; Length: 8"; Width: 3/16". Ultraviolet Black Nylon Cable Ties 50LB 7" Ultraviolet Black Nylon Cable Ties 50LB 7"
Ultraviolet Black Nylon Cable Ties 50LB 7" - Our UV-safe Zip Cable Ties are perfect for outdoor use. Below is more info on our Ultraviolet Black Nylon Cable Ties 50LB 7"
Ultraviolet Black Nylon Cable Ties 175LB 30" Ultraviolet Black Nylon Cable Ties 175LB 30"
Ultraviolet Black Nylon Cable Ties 175LB 30" - Our UV-safe Zip Cable Ties are perfect for outdoor use. Below is more info on our Ultraviolet Black Nylon Cable Ties 175LB 30"
Self-Adhesive Tie Mounts UV Black 3/4" x 3/4" Self-Adhesive Tie Mounts UV Black 3/4" x 3/4"
Self-Adhesive Tie Mounts UV Black Nylon 6/6 3/4" x 3/4"- These Small Self Adhesive Fasteners are perfect for smaller cable bundles. Below is more info on our Self-Adhesive Cable Tie Mounts UV Black Nylon 6/6 3/4" x 3/4"
UV Mounting Nylon Cable Ties 40LB 6" UV Mounting Nylon Cable Ties 40LB 6"
UV Black Colored Mounting Nylon Cable Ties 40LB 6" - Easy Mounting Zip Cable Ties keep cable bundles secure. Below is more info on our UV Black Colored Mounting Nylon Cable Ties 40LB 6"
Air Handling Cable Ties For Plenum Areas 50LB 11.8" Air Handling Cable Ties For Plenum Areas 50LB 11.8"
Air Handling Cable Ties For Plenum Areas 50LB 11.8" - Air Handling Zip Cable Ties are safe and code compliant. 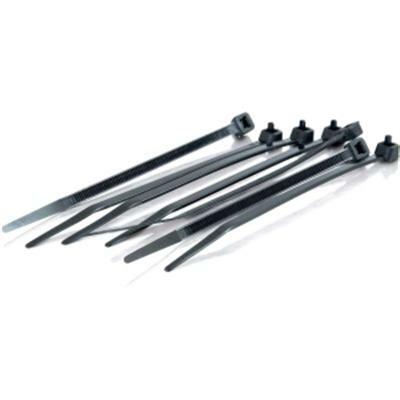 Below is more info on our Air Handling Cable Ties For Plenum Areas 50LB 11.8"
Tefzel Cable Ties For Plenum Areas 18LB 3.75" Tefzel Cable Ties For Plenum Areas 18LB 3.75"
Tefzel Cable Ties For Plenum Areas and a wide Variety of Corrosive Chemical, High Temperature and Radiation Applications 18LB 3.75"- Our Tefzel Zip Cable Ties are durable and safe for Chemical, High temperature, Radiation and Plenum areas. 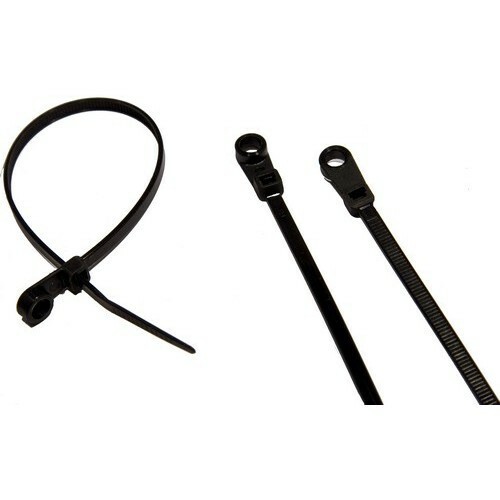 Below is more info on our Tefzel Cable Ties For Coriisive, High Temperature, Radiation and Plenum Areas 18LB 3.75"
Ultraviolet Black Nylon Cable Ties Bulk Pack 50LB 8" 1000 Pcs - Our UV-Safe Zip Cable Ties are perfect for outdoor use. 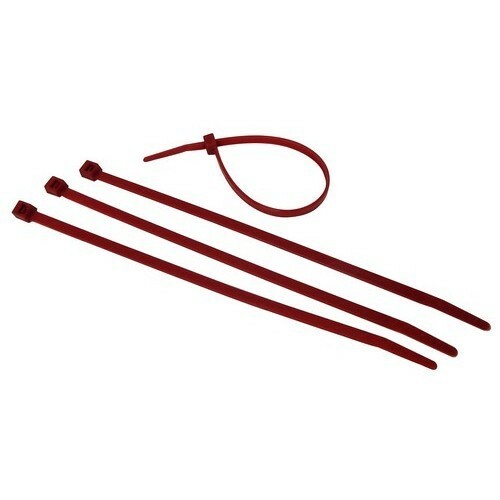 Ultraviolet Black Nylon Cable Ties Bulk Pack 40LB 8" 1000 Pcs - Our UV-Safe Zip Cable Ties are perfect for outdoor use. 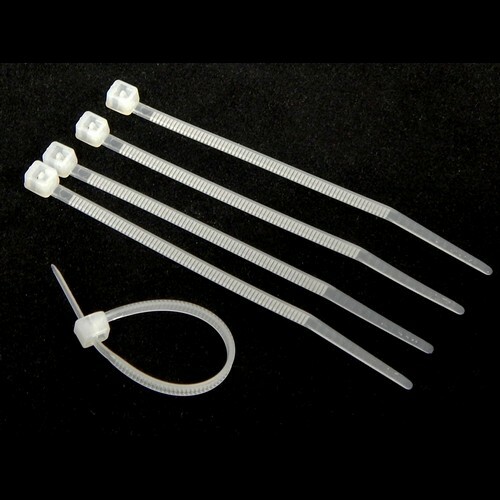 Ultraviolet Black Nylon Cable Ties Bulk Pack 40LB 6" 1000 Pcs - Our UV-Safe Zip Cable Ties are perfect for outdoor use. 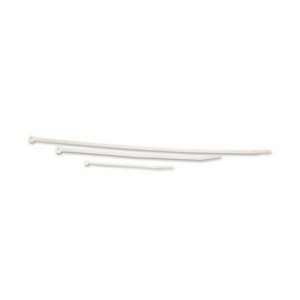 Nylon Cable Ties Bulk Pack 50LB 8" 1000 Pcs - Nylon Wire Cable Ties for all Cable Organization Applications. 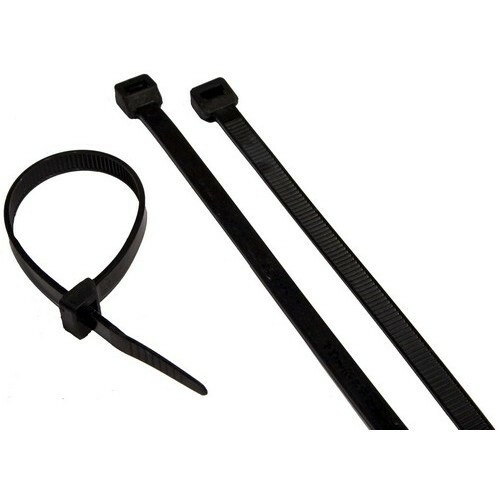 Ultraviolet Black Nylon Cable Ties Bulk Pack 50LB 11" 1000 Pcs - Our UV-Safe Zip Cable Ties are perfect for outdoor use.